A stand-out restaurant POS with great features, service, and pricing. Toast POS excels in all the areas that make a restaurant POS great. It offers comprehensive software and hardware solutions with plenty of useful features, 24/7 customer service, and reasonable prices. It’s for Android only, which may count as a pro or a con, but is certainly another factor that helps it stand out in an iOS-centric industry. Toast is a well-respected U.S.-based restaurant POS startup. It’s used by thousands of businesses, and valued at a whopping $1.4 billion as of a late-2018 funding round. 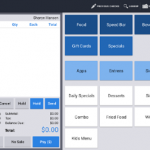 Toast POS operates on the Android operating system, and isn’t available on iOS. It offers a satisfying array of features, giving it the functionality and flexibility needed to make it a top restaurant POS pick. Toast goes toe-to-toe with TouchBistro, another industry-leading iPad-based restaurant POS. While TouchBistro offers a few more features and starts at a lower (but comparable) price point, Toast matches it in customer service and ease of use, while constantly updating and adding new functionality. In addition to serving all sorts of outlets – from bars and bakeries to casual, fast casual, and fine dining – Toast POS also supports delivery services and online ordering. As well as offering its own range of hardware, Toast “strongly advises” users to avoid using any existing hardware they may already have, claiming that its software is optimized with its hardware in mind. As a result, restaurant owners making the switch to Toast from a previous POS vendor will need to consider the additional upfront cost of purchasing replacement hardware packages. This review takes a look at the core features and abilities that Toast POS offers its users, the support and training options it provides, and the prices that it brings with it. Toast enables servers to accept and relay orders from customers to kitchen workers, all while still at the table. Once the meal is ready in the kitchen, the server will receive a notification on their tablet, increasing efficiency. When customers are ready to pay, the server can then take tableside payments, with both EMV and card supported. Toast also includes a “Guest Feedback” feature, which lets the software collect customer feedback. 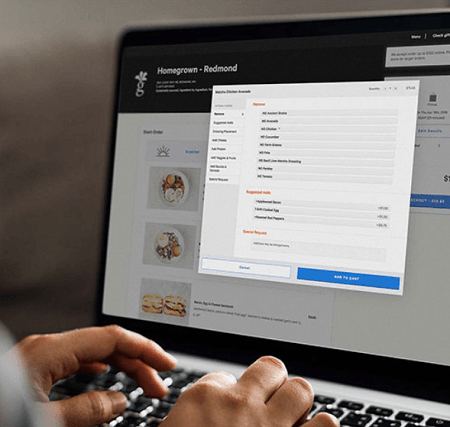 Toast also supports an online ordering option, a public-facing website that guests can use to place their orders using a menu updated in real time. Users can save their profiles and credit card information, while the interface connects to Toast’s delivery dispatch feature, letting your employees deliver the order if needed. The online site can be tailored to your restaurant’s branding, too. Gift card features and loyalty programs are supported as well, whether the user is present in person or online. Menus can be updated from any device logged into Toast POS, including terminals and smartphones. The cloud-based software will be constantly updated in real-time, making sure that servers and kitchen workers remain in sync regardless of which deals might be starting or what ingredients might be temporarily out. Toast POS also offers essential inventory features, providing centralized data to help you understand the value of each ingredient and product on your shelves. You can easily drop low-performing items, and increase your stock of popular ones. The result? Reduced food waste, alongside faster, more accurate restocking. Spot trends and track the most vital stats through Toast’s POS reporting abilities. 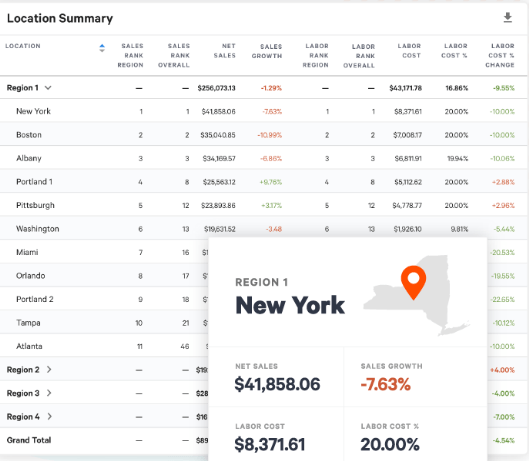 A Location Overview offers a birds-eye view of net sales or total employee costs, and can be viewed across all locations or broken down individually. Sales summaries can be produced across any time period, and areas for improvement can be identified across a location’s product mix. Toast offers a hardware range that includes terminals, kiosks, the Toast Go handheld tablet, a guest-faced display, a kitchen display screen to help kitchen employees, and assorted accessories. In other words, Toast takes its hardware seriously. If you’re a smaller business and these hardware options seem a little overwhelming or unnecessary, try the Toast Terminal bundle. It’s a hardware package that includes a terminal, terminal stand, credit card reader, cash drawer, receipt printer, 5-port switch, and cables – it should be all you need to get off the ground. 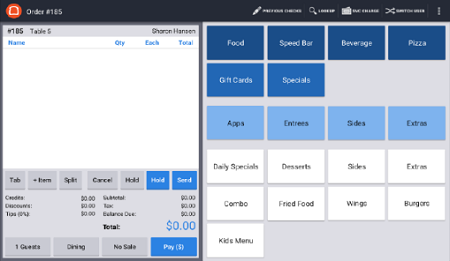 While it may seem inflexible that you can’t use the Toast POS on iPad – it’s designed with specific hardware in mind – this is also a strength of the system. Toast continuously updates and maintains its software for its range of robust hardware, meaning it can ensure a reliable and smooth service for you and your customers. One of the most essential aspects of a restaurant POS is the ability to quickly receive orders and relay them to the kitchen. 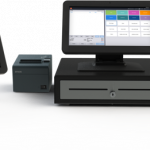 In this minute-long video, Toast explains how its software, mobile tablets, and tabletop terminals all function together to make tableside orders and payments happen. US-based customer support is available 24/7 through phone, email, and an online portal that can connect users with live representatives. Toast offers an online knowledge database that’s free for all, and also provides paying users with a series of online learning courses it has dubbed “Toast University.” Its website also has a “status” section, which users can refer to if they need to confirm a bug or temporary lack of function in services including the website, order processing, support line, or more. Installations can be remote, with free live phone support, or in-person, with experts available to lead a team through software installation and staff training. In-person guided installation starts at $499. The Toast software service starts at $79/month/terminal, with an option for remote or in-person installations starting at $499. In addition, Toast’s more popular hardware packages start around $899. Toast POS also charges a flat fee for payment processing. While the fee is flat across all of a given business’s transactions, the value of the fee is initially set based on the industry that the business operates within, and may vary from industry to industry. For more specifics on the monthly, per-terminal cost of a version of Toast POS that’s tailored to you, you’ll have to contact Toast for a custom quote. While you’re at it, we’d recommend getting the same quotes from other leading POS vendors available today: Just open our quick price comparison form at the bottom of this page. Toast is a Tech.co recommended POS solution. Its software and hardware offers all the essential features, and comes with a streamlined interface and a fair price tag. In addition, the round-the-clock customer support options are comprehensive. If you’d like to get started with tailored price quotes from the top POS vendors today, click the button below. to other leading Point of Sale providers. Founded in Toronto in 2010, TouchBistro has rapidly expanded beyond the city to take over the entire restaurant POS industry, and for good reason. Find out why TouchBistro could be the perfect software for your restaurant or cafe in our 2019 review, plus get a custom price quote. 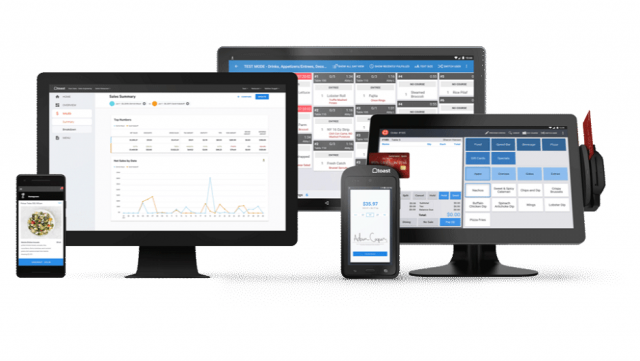 The right POS system can streamline every operation of your restaurant, bar, or cafe, from orders and payments to your entire ingredient inventory. 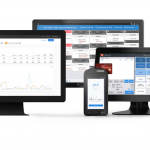 Here’s everything to know about the best restaurant POS systems available today.